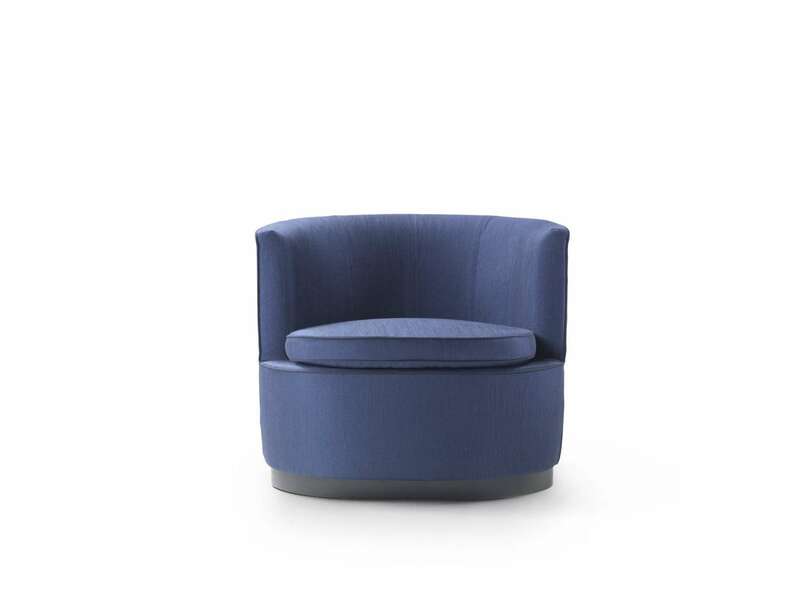 This gracious armchair rests on a base in fine solid rosewood or oak. 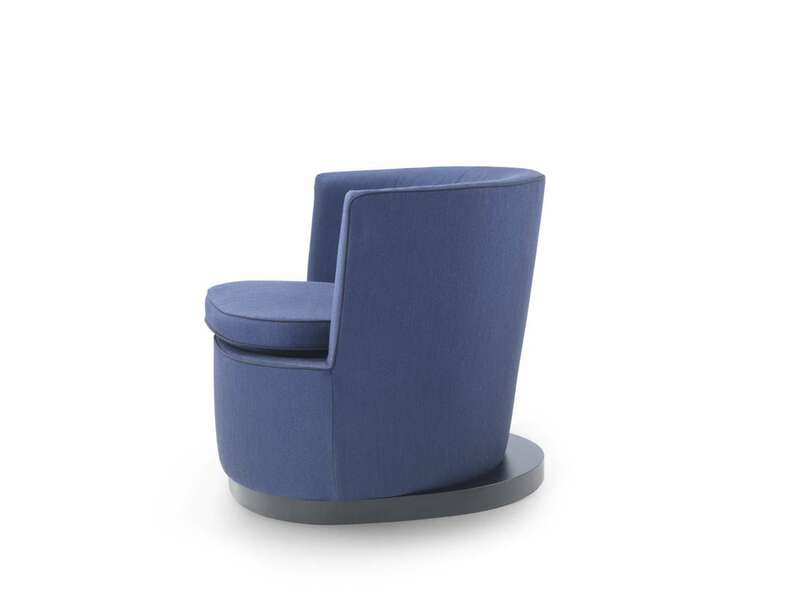 It has an ample compact seat with a slightly oval form. 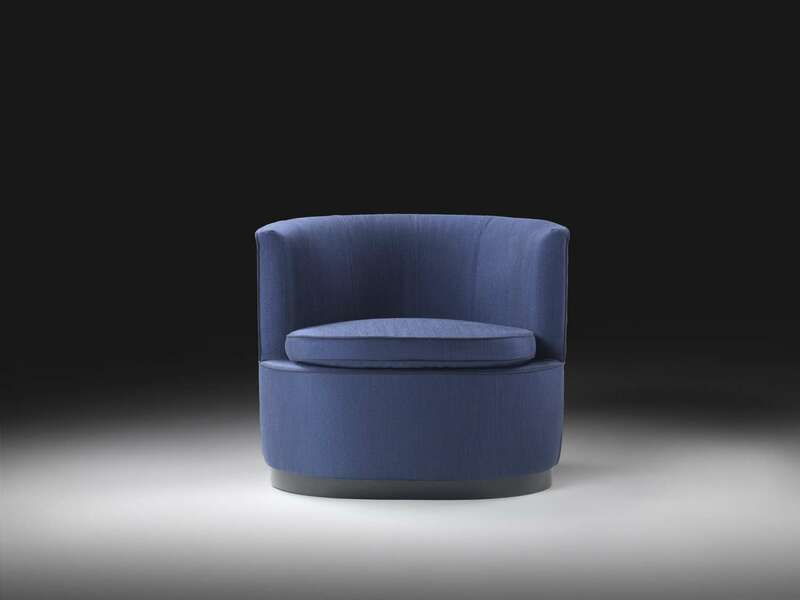 The C-shaped back is firmly padded, wrapping around the seat. With a completely removable cover, it is ideal for public spaces and residential settings. Attractive on its own, but also as a pair next to an impressive sofa.